1. Another April Fools' Day came and went, and while we sat this one out, other arts organizations made the most of it. 2. In what is perhaps the most wholesome story we've seen in awhile, Yannick Nézet-Séguin curated a playlist of classical music for the Pennsylvania SPCA to play for shelter animals. Specifically, it's music that recalls his love for cats -- like Parsifal, one of the first cats Nézet-Séguin raised together with his partner. Check out the playlist on Apple Music. 3. The Violin Channel asked more than 30 top musicians: "Does your instrument have a pet name?" The results might surprise you. 4. 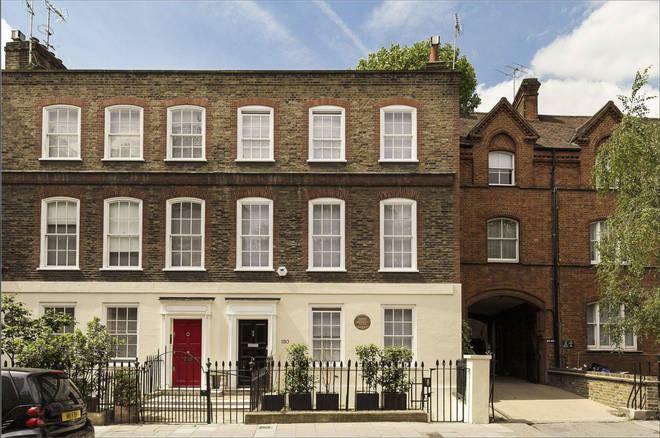 The London townhouse where Mozart spent the summer of 1764 -- and composed his first symphony -- was just purchased for 7.5 million pounds! Take a look inside. 5. Queen Lili'uokalani, the last ruler of Hawai'i, wasn't just a political figure -- she was a composer, too, and wrote some of the most famous Hawaiian music of all time. 6. Writer Olivia Giovetti looks at the history of opera, tracing its roots not to Italy, but to the Middle East. 7. Imagine being suspended in midair above an icy river, strapped in to a rock climbing harness and swinging in the wind... and then playing an instrument, or singing an aria. That's exactly what the High Art Project facilitates, saying that "There’a a kind of vulnerability, which is really helpful for art. We thought that that would kind of be a valuable tool."